‘Donne su Fondo Rosso’ is a characteristic piece in Campigli’s oeuvre. The title can be translated from Italian as ‘Women against a red background’. The scene depicts four hourglass women, located in an undetermined deep pink space. The frieze-like aesthetic of the work is evidence of Campigli's fascination with the art of the Etruscans and the Egyptians, with its frontal poses and subdued colour palette with earthly tones. Campigli often went to the Louvre to admire the collection of ancient Egyptian art, which clearly influenced his own art. One particular striking aspect of Campigli's oeuvre is the distinct lack of men. He only painted women and as he admitted himself: “My imagination has always dominated reality and I transform the latter to make it more readily acceptable to me. In a crowd I only see the beautiful faces, only the women of course, as in my paintings”. 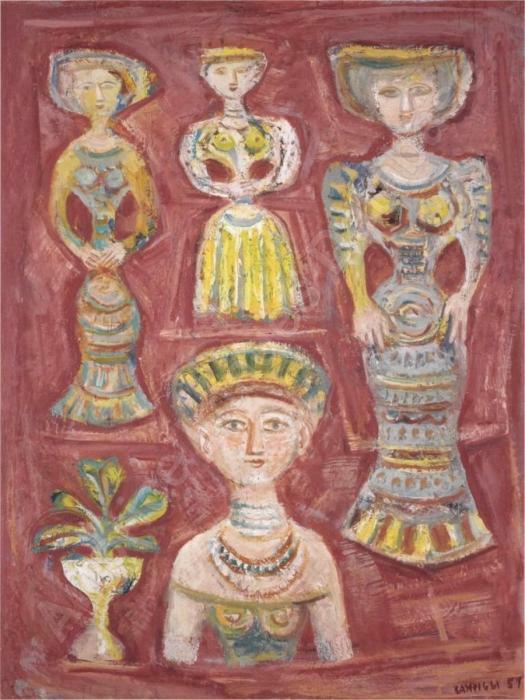 Campigli signed and dated the piece in 1957, around the age of 62. At the time, he already was an established artist with an internationally acclaimed reputation, having had exhibitions all over Europe. The authenticity has been confirmed by Nicola Campigli, president of the Massimo Campigli Archives. Furthermore, the painting will be included in the Campigli Catologue raisonné, to be published by Galleria Tega, Milan. German-born Max Ihlenfeldt is better known as Massimo Campigli, Italian painter and journalist. 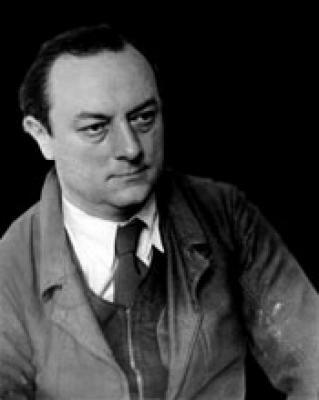 In 1895, he was born in Berlin, but he spent most of his childhood in Florence and Milan. Early on, Campigli was active as a journalist, working for Futurist and Avant-garde magazines in Italy. In his early twenties, he moved to Paris to work as a foreign correspondent, but soon became acquai . . .